Tucked away in the Moroccan mountains lies a tiny village named Tétouan, where every home and building, inside and out, is painted blue. Inside the narrow tunnels of this village are markets and shops owned by native Moroccans, who are now used to the faces of American tourists who come to see their incredible home. 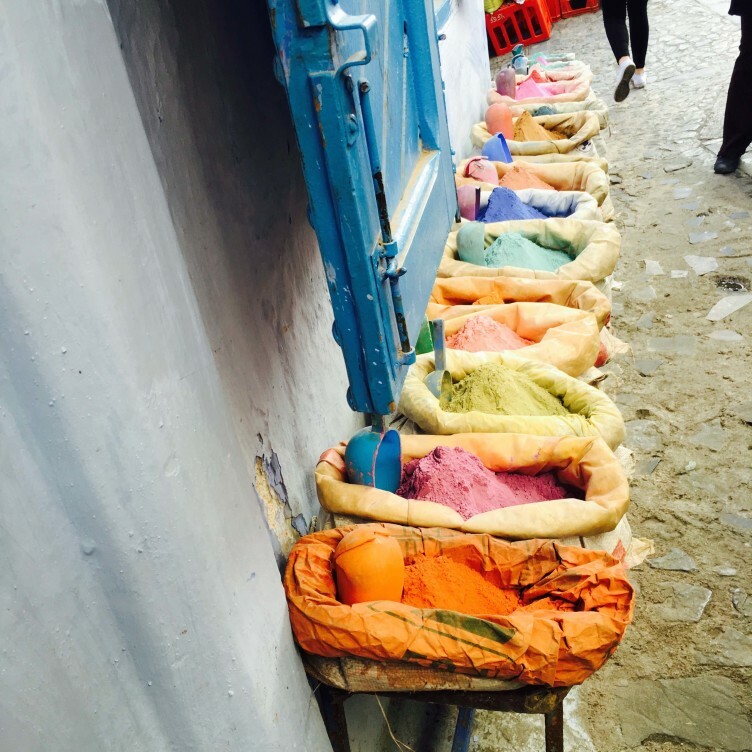 In these markets tourists can find Moroccan spices, leather products, ceramics, tapestries and blankets, as well as powder used to make paints. I captured this photo of the powder because these colors stand out extravagantly in comparison to the completely blue surroundings of the tiny village. The tour of Tétouan was one of the most eye-opening and breathtaking experiences that I had while studying abroad in Seville, Spain.